I well remember watching Christchurch unrelentingly exploding and imploding all over the place as the February 2011 earthquakes devastated the city. As a result of the earthquakes and aftershocks that rocked the city, 185 people were killed and many thousands were directly affected. It brought tears to my eyes. Given my own long-term interests in the cognitive and emotional lives of nonhuman animals (animals), I also wondered about, and was deeply concerned with, the nonhumans whose lives were deeply affected. I knew, of course, that many were severely injured, displaced, and killed, and that there were many wonderful and caring people who were concerned about these hapless beings. Nonhuman victims of the relentless destruction included a diverse lot of dogs, cats, rats, turtles, chickens, lemurs, lions, horses, hedgehogs and parrots. As time went on, there were occasional reports about the recovery of lovely Christchurch, and now, with Annie Potts and Donelle Gadenne's superb book, "Animals In Emergencies: Learning From The Christchurch Earthquakes," we learn about the most amazing achievements of animal welfare experts and companion animal guardians who cared for the 1000s of nonhumans who were injured and rendered homeless during the devastation. Their book is very well written and an easy read in terms of style, and contains numerous pictures of people and animals and extremely useful references. Of course, many of the stories will be difficult on readers' heartstrings, but they are exemplars of love and devotion. The first part of this landmark book called "Rescue, Shelter and Advocacy" centers on the specialized roles of animal rescuers and shelter workers as they lead the efforts to ensure animal welfare. The second part of the book titled "Animal Earthquake Stories" focuses on stories of survival and love and loss. The stories, of course, are a mixed bag, including wonderful tales of animals making it through the most horrific conditions along with heart-wrenching stories of shattering losses. As the authors note (p. viii), "More than anything, this book is a testament to the bravery and resilience of the animals and people of Christchurch and its environs, and a tribute to those who protected, sheltered and cared for the city's multi-species inhabitants after the quakes. It is also a plea for us to take the life and death of every being seriously when disaster strikes." But, "Animals In Emergencies" is much more. 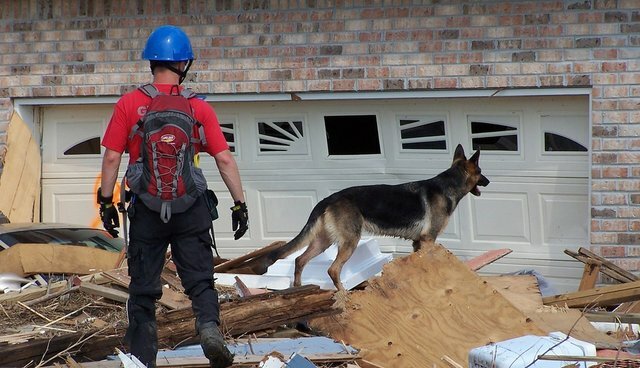 The authors summarize what we learned about animal rescues after Hurricane Katrina devastated New Orleans and surrounding areas, and it is a handbook and guide for disaster management that stresses how essential it is for rescuers and law enforcement officers "to recognize and act on the significant emotional bonds between humans and animals" (p. 9). It is essential that humans and their animals not be separated during rescues because these abandonments are devastating to both parties and of course, it's the animals who mostly lose in the end. They quote (p. 11) Professor Leslie Irvine who wrote, "the primary lesson to be drawn from Katrina's animal response is that animals are part of the human family. They cannot simply be left behind with promises of rescue sometime in the future. Emergency response plans at all levels must incorporate pets to avoid the tragedy of New Orleans." (Leslie Irvine, 2009. "Filling The Ark: Animal Welfare In Disasters," Temple University Press, p. 119). The last chapter of "Animals In Emergencies," called "Learning from the Christchurch experience," is singularly invaluable. Learning how to deal with animals in emergencies is a work in progress, and each disaster has its own unique characteristics. However, what must underlie all animal rescues is the recognition of the strong reciprocal bonds that people and animals form with one another, and how devastating it is to lose these deep and enduring interconnections. And, the authors stress that it is not only companion animals who need help. They write, "animals at greatest risk in disasters are those confined or incarcerated. Pigs, rabbits, chickens, turkeys, ducks and other game birds are among New Zealand's intensively farmed species. Other animals whose movements are restricted on an everyday basis include horses kept in stables, rodents in laboratories, fish and turtles in aquariums, birds and dogs in cages (or 'crates'), and cows being milked by machines, as well as animals kept in boarding kennels, catteries and pet shows" (p.238). The discussions of helping people who have lost animals are invaluable, and the authors write about the value of microchips for finding lost animals. "Animals In Emergencies" is a must read, not only for those who are trained to work to rescue animals in disasters, but also for general readers, because one never knows when they will be called on to help animals in need, not only in disasters that have wide ranging effects but also, for example, when they are hit by a car or simply lost and in physical and emotional pain anguishing over their separation from their human friend. I can easily go on singing the praises of this landmark book, but the best advice I can offer is to read it. Read it again and again. Keep it handy, and share it widely. It is much more than a summary of the Christchurch earthquakes, and I hope it finds its way into classrooms in courses in the diverse and trans-disciplinary area called human-animal studies, including schools of social work, and in general classes in anthrozoology (the study of human-animal relationships). It really is that good.